The control room at Sonic Fuel’s new facility in El Segundo, California, outfitted with a variety of gear with the help of GC Pro. The live room at Sonic Fuel’s new facility in El Segundo, California. Sonic Fuel was outfitted with a variety of gear with the help of GC Pro. WESTLAKE VILLAGE, CA, September 17, 2012 — After years in which machine-made music tracks have seemed ubiquitous, live music is again making its presence felt in movies, TV and video games. 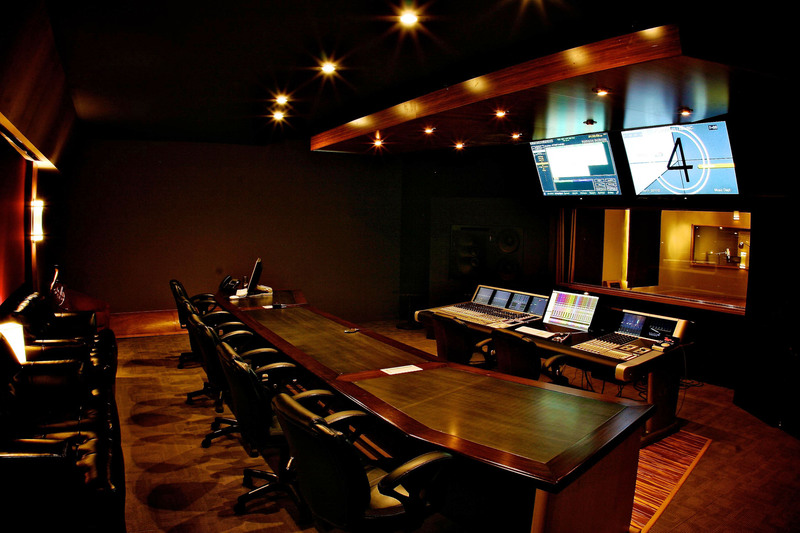 The new production facility for Sonic Fuel, the 12-year-old music-for-picture studio in El Segundo, California, near Hollywood, was designed to leverage exactly that welcome trend. The new facility offered the perfect combination of high ceilings and a flexible space in which architect Frank Glynn, builder Brad Keeler and Sonic Fuel music engineer Jeff Vaughn collectively designed a live room large enough to comfortably hold a 35-piece orchestra, an expansive control room, two isolation booths, a machine room, a lounge and other spaces. 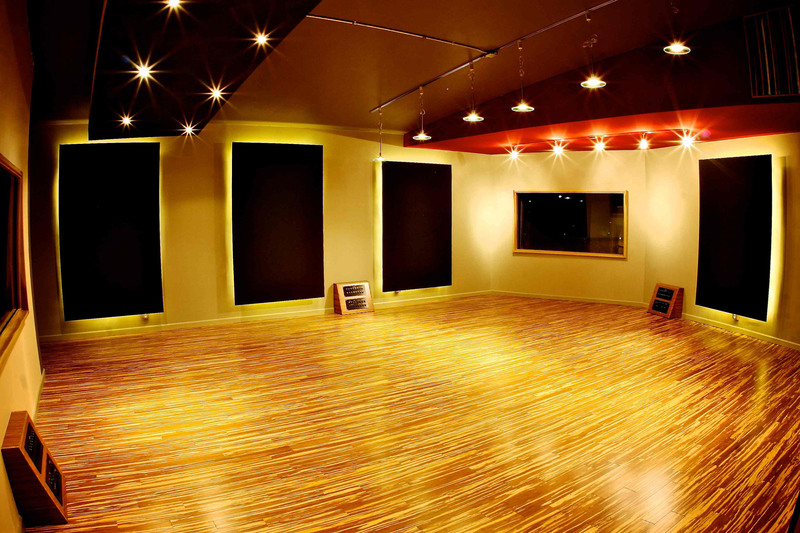 And all of the new studio’s key rooms were equipped with technology and products sourced and sold by Guitar Center Professional (GC Pro), the outside sales division of Guitar Center that focuses on the needs of professional users. “The television business has been using real musicians again; most television shows and every movie expects live music… and almost all video games are done with at least a decent sized orchestra,” observes Christopher Lennertz, who, with partner Timothy Michael Wynn, founded Sonic Fuel Studios in Marina del Rey a dozen years ago. As a result, for their new facility the partners wanted the space necessary to record large groups of live musicians and the technology they needed to give film, television and games the finished audio formats they demand, such as discrete 5.1 surround tracks and surround stems. “Almost every project we are involved with now — including video games, film and television — demands 5.1,” explains Lennertz. “Most of what we deliver is 5.1 stems now; for video games, we will deliver anywhere from 8 to 12, or sometimes 24 5.1 stems at the same time. So we had to go ahead and build a true 5.1 room." GC Pro was involved from the start and offered advice and resources unavailable from any other pro audio retailer. GC Pro Senior Account Manager Rich Avrach suggested a wide range of technology solutions to support the Euphonix System5 digital console that came from the previous facility, including two Avid Pro Tools HDX systems (with Avid 16x16 I/O), Avid SYNC HD, BAE 312A preamp, Apogee Symphony I/O, an Apogee Big Ben clocking system and an expanded microphone complement including two Neumann TLM 103s, two Neumann M 149s and four Neumann KM 184s. “We have a longstanding relationship [with Sonic Fuel] that spans several years,” says Avrach, noting that a deep understanding of the client’s goals and vision resulted in technology choices that helped the project come together more efficiently. For instance, even though a digital console meant more flexibility, Lennertz and Wynn wanted to be sure they could have an authentic analog sound on the front end. So Avrach helped them warm up the input stage with several types of preamplifiers from brands including Neve, Millenia, API, Universal Audio and others. Shortly after it opened, the new Sonic Fuel facility was put to the test for a strings and winds tracking sessions for the NBC pilot of Revolution, produced by J.J. Abrams (the mastermind behind Lost) for this year’s new NBC television season. The session was a total success and augured well for Sonic Fuel’s own future, and the owners are more than happy to acknowledge the part GC Pro played in making it happen. “They were actually part of the planning process,” Lennertz says. “They gave us all the support we needed with preamps, microphones and support and were never pushy. Plus they are very fast.” And in Hollywood, that really helps. Photo Caption 1: The control room at Sonic Fuel’s new facility in El Segundo, California, outfitted with a variety of gear with the help of GC Pro. Photo Caption 2: The live room at Sonic Fuel’s new facility in El Segundo, California. Sonic Fuel was outfitted with a variety of gear with the help of GC Pro.